Hope you caught the blog post last week that Kim and I decided that we were going to make a commitment to daily meditating. You can read the first blog post we wrote by clicking here. Om is a mantra best known in the Hindu tradition as the primordial sound in the universe. We found that by vocalizing “Om” at the start of listening to the tones, it enhanced our experience. This came about from personal experimentation, not from a particular spiritual tradition. Most of our recordings begin with these frequencies. I liken it to an activation of the energy body, by creating the vibration in one’s body, these vibrations then intermingle with the tones, allowing the tones to carry you on the journey. It was significant to me that Eben heard this sound in the Core part of his experience as, indeed, the sound at the heart of our cosmos. We have created tones with a base of harmonic carrier frequencies –108/216/432. So, back to my meditation. As I listened to the tape something very surprising happened. For no reason at all I felt elated, just happy to be alive and in the moment. That was a real gift. Going deeper into the meditation things felt darker and it was hard to stop my mind thinking of all the things I should be doing instead of meditating but I think I achieved stillness for a while. The dark nothingness that replaced my racing thoughts felt strange as it did the day before, like I was falling down from a great height but there was no fear of the fall, just acceptance which has to be progress, right? I truly hope in time that dark nothingness will be the place I get flashes of insight and inspiration or perhaps nothingness is what I need and it is the place where seeds of inspiration grow. Listening to the tones can activate emotions stored in the energy field. Tears reflect much more than sadness, they are an indicator of emotional release. There is no need to analyze or know “why” – simply allow the release. Some experience this very strongly. It has been shown to allow for deeper, more meaningful experience in later listening sessions. It’s Kim’s turn now to talk about her experiences. Over to you Kim. Thanks so much Theresa. It’s been interesting as I’ve tried to meditate over the years. I also tend to listen with all good intentions but my wand wanders off to my list of jobs to do so I think about putting the washing in, what we’re going to have for tea that night, that sort of thing. When I listened to the first meditation from sacred acoustics, I did it before going to sleep. I always sleep lying on my front, so lying face up felt a little uncomfortable to me. I think I need to find my comfy position! However, I did enjoy listening to it. It seemed to go really quickly and I definitely felt like I switched off for a short time. I thought I’d mix it up a bit as to be honest, I kept forgetting to do it at night as that’s a time I normally read so this morning as I woke up at 5am, I decided to try the second meditation in the hope that it might either make me go back to sleep OR make me feel refreshed. Sadly it did neither of those things. There were a couple of times that I was conscious of my arms feeling very light, then very heavy but I’m not sure why. Perhaps another question for Karen. I have decided however that morning isn’t the right time for me. I was desperate to escape it as I kept thinking of all the things I was due to do throughout the day. I suppose meditation is a skill that you have to practise as it can’t be an instant thing that you can do. It is something I’d love to master and I’m definitely going to continue. I’m going to go back to night-time though as I think it will help me to download the day and will let you know how I get on later Theresa. Thanks so much Kim. Only time will tell but one thing I know is I will keep working on this. The acoustic tapes are mesmerising and draw me in where previous meditation tapes have failed. I am also surprising myself in that for the first time ever I’m actually looking forward to my meditation time tomorrow to see what it will bring. Will keep you posted and please do let me know on Facebook or via my website what you think of meditation and if you practise it what works for you. 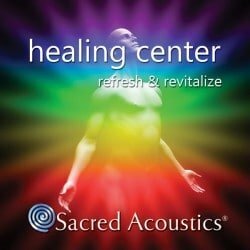 Also do visit www.sacredacoustics.com and try the free download there. You won’t regret it.